Excess fat accumulation in the abdominal area can make the belly to bulge out. Normal activities like bending down become very difficult. At the same time, it is very embarrassing for the individual. The individual is unable to wear normal-sized clothes. All these contribute to a lower self-esteem of the individual. In most cases, this condition is visible as a flab of tissue hanging from the abdominal area. This condition is commonly seen in post-pregnant females. Adominoplasty or a tummy tuck is a common procedure used to correct this condition. This procedure involves removal of the hanging flap and the excess fat. A rejuvenated abdomen is obtained after the abdominal muscles are tightened. A well-toned and flat abdomen can be attained by this procedure. The procedure can be done for both men and women who have extra fat in their abdominal areas. During the preoperative procedure, the incisions are marked and the amount of tissue to be removed is determined. After the excess fat is removed, the muscles are tightened. The sides can be shaped by tightening the muscles in these areas. When liposuction is combined with this procedure, it is called lipoabdominoplasty. The suction of fat can be performed in the thighs and back. For women, an additional breast lift can be done to increase the overall appearance. This is a less extensive procedure compared to the original tummy-tuck method. The method is applicable for those who have only some amount of lax skin. The position of the umbilicus is not so low in these individuals. These slight imperfections can be corrected by this mini procedure. The muscles in the upper abdominal part can be tightened endoscopically. This results in a better shape. After this procedure, the patient can be discharged the next day itself. Activities that do not involve too much of body shaking can be performed. These activities include gentle walking. After 10 to 12 days, the person can return to normal activities. However, during the initial 3 weeks after surgery, the person is to resort to restricted activities. Sexual activity should be avoided for 3 weeks. Pregnancy has to be avoided for 2 years. Tummy tuck is advised for those women who have completed their family. 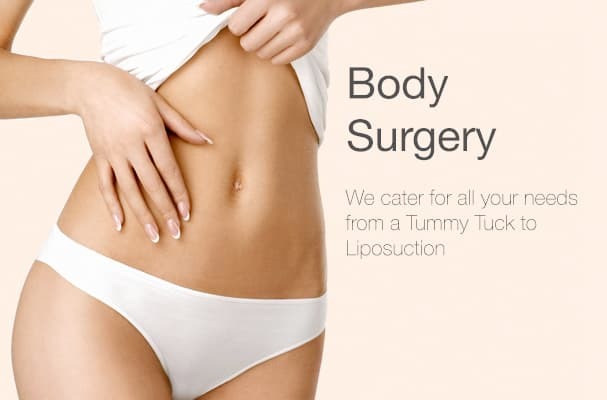 Why tummy tuck and not liposuction alone? Liposuction can only remove the excess fat. It does not do any skin modifications. When excess fat accumulation occurs, there is a change in the skin elasticity and after the skin is stretched, it does not retract well. Therefore, tummy tuck is appropriate for this condition. The procedure combined with liposuction results in a much younger appearance. Nowadays, most tummy tuck procedures are combined with liposuction in a combined procedure known as lipoabdominoplasty. In most cases, it is essential to remove the excess skin portions in the lower abdominal regions. The central part of the upper abdomen is undermined to tighten the abdominal muscles. Liposuction is performed in areas like the lateral part of the upper abdomen and the flanks to give a much younger and beautiful appearance. The upper part of the abdomen is never undermined in a mini abdominoplasty. However, it has been observed that muscle tightening in the lower abdominal parts can result in a gradual bulge in the upper abdominal part for a couple of years. For this reason, some surgeons (including myself) prefer to tighten the muscles of the upper abdominal region using endoscopic procedure.